Legislative Hall, on Legislative Avenue in Dover. Legislative Hall is the capitol building of Delaware, and was completed in 1932 after the previous capitol was too small for use. 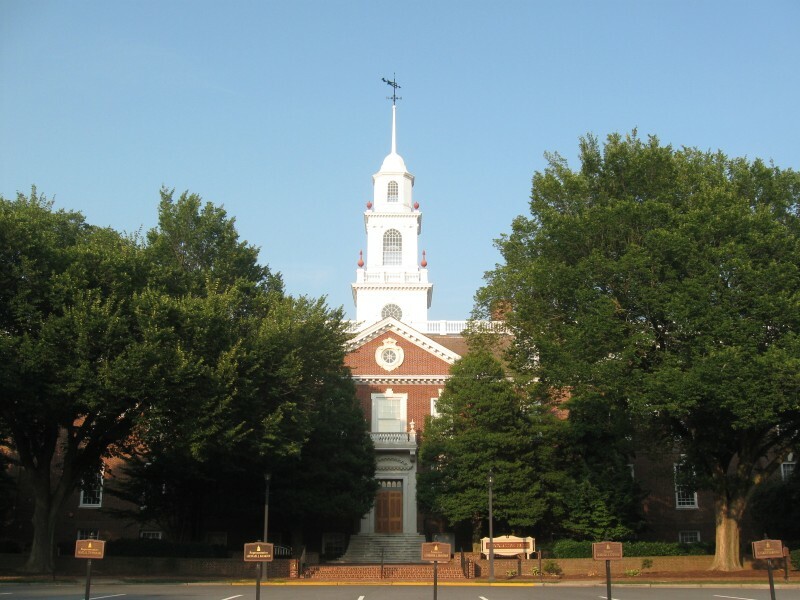 Legislative Hall is the only capitol building in a Colonial Revival architectural style. The tiered tower is based off of the one on the Old State House in Boston. Other details, like the balconies over the front doors and the round-topped dormers, were derived from the Old Colony House in Newport, Rhode Island. Photo by xzmattzx.